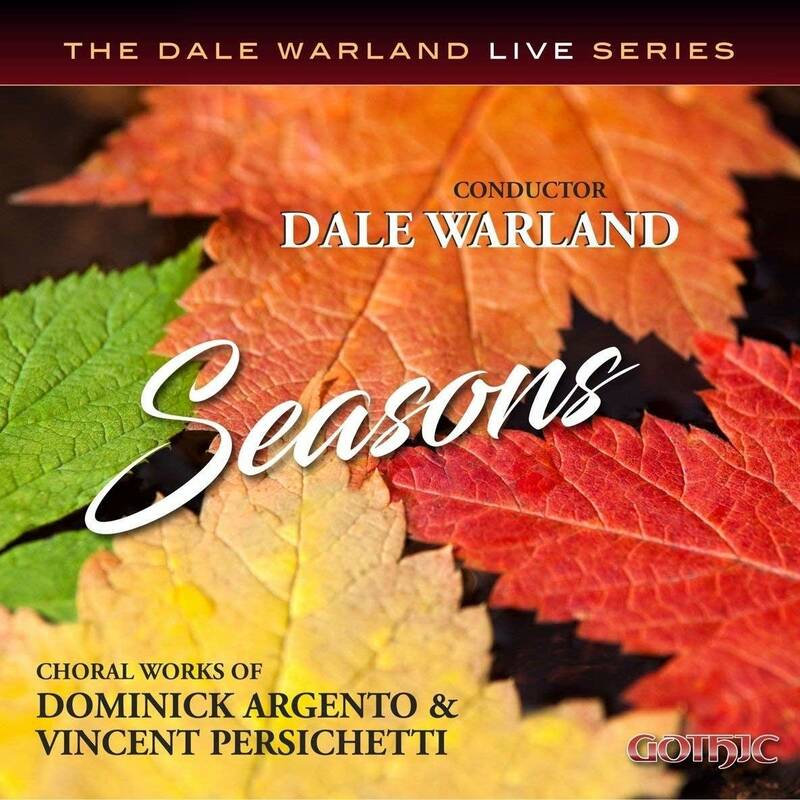 Dale Warland is unquestionably one of the greatest choral conductors of our time. In this live recording — the first in a series — the music of two Italian American composers, Dominick Argento and Vincent Persichetti, are featured. Included is Argento's moving setting of Shakespeare's Sonnet No. LXIV in memory of the victims of 9/11, and Persichetti's Flower Songs. Argento's seven movement cantata Tria Carmina Paschalia for women's voices, with harp and guitar, and his setting of Pat Solstad's Seasons complete the program. Dominick Argento has written fourteen operas as well as major song cycles, orchestral works and many choral pieces for small and large forces. His song cycle 'From the Diary of Virginia Woolf' was written for Janet Baker in 1974 and won the Pulitzer Prize for Music. Included here, too, is the first recording of Seasons. Vincent Persichetti was a composer, teacher and pianist who taught at The Juilliard School. His music integrates diverse styles, from Big Band music to polytonality.